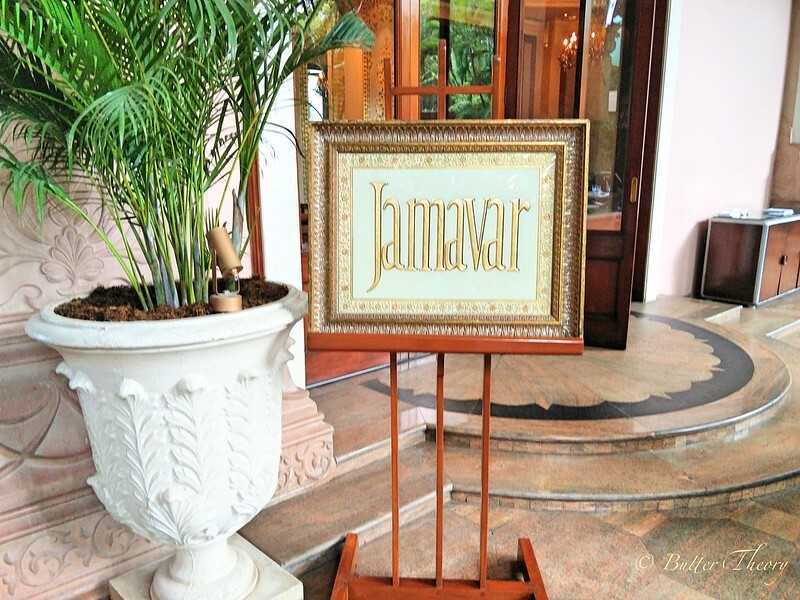 Named after the iconic fabric that has its roots in Kashmir, Jamawar is an Indian speciality restaurant that brings to you the royal traditional fare from across India. 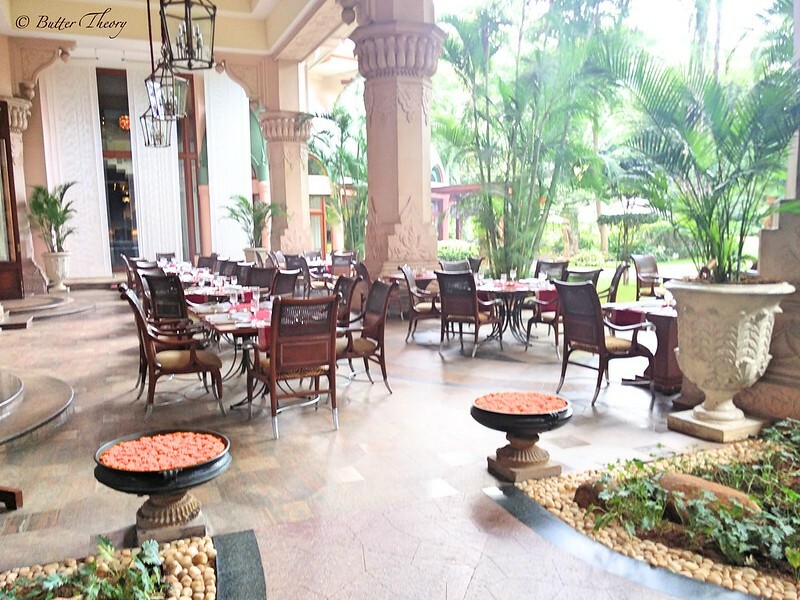 Set in the magnificent Leela Palace in Bangalore, Jamawar is one of these imperial restaurants that takes you back in time! 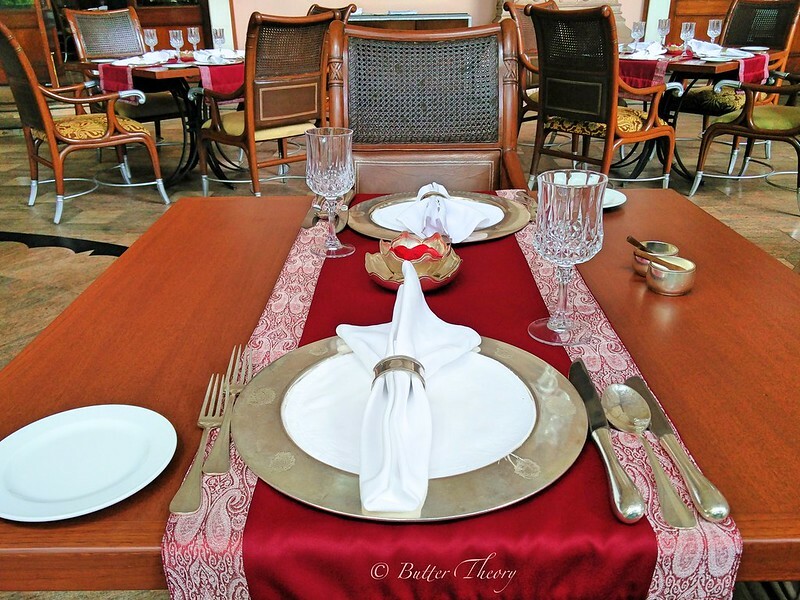 With bespoke silver cutlery and finest Jamawar paintings and shawls on display, the ambience is A-class! 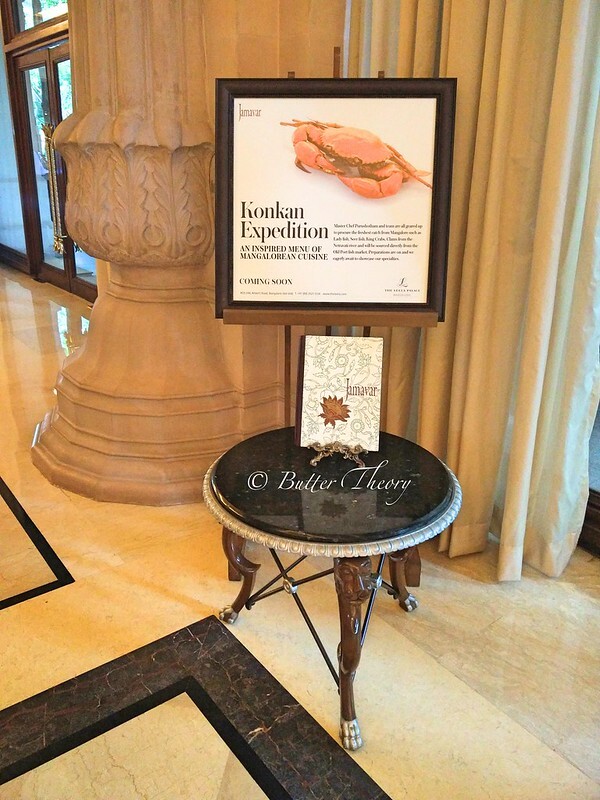 This time around, they were hosting a Mangalore inspired cuisine, that they termed as The Konkan Experience. 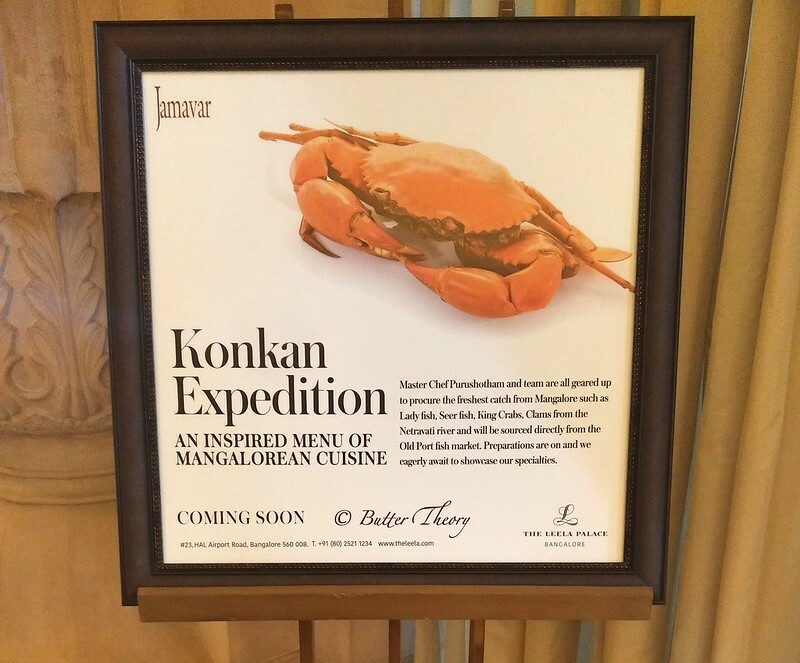 The Konkan Experience started on the 12th of September and goes on till 21st of September! 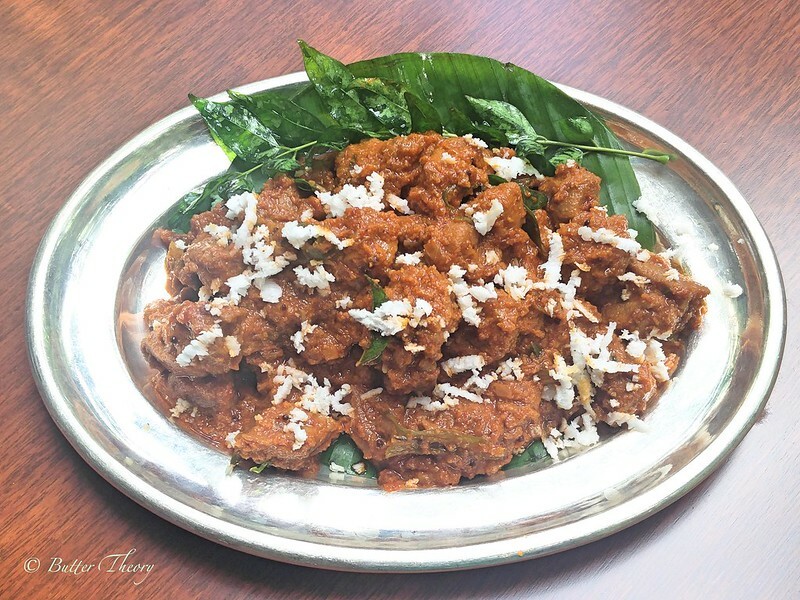 Some of the special dishes that you’d get a chance to have are Yetti roast, Kane and Kundapura Mamsam. If you’re a vegetarian, there’s Chatte Ambode, Dal Thove and Bende kayi Ajadina. I was a little early to the event and I sat in their outdoor seating and I sipped on some coffee while I waited for the rest of the invitees to join! 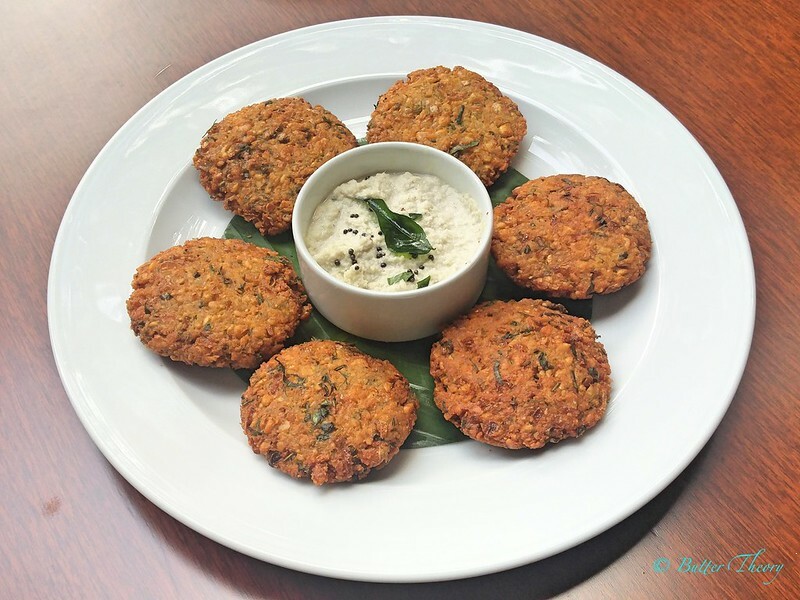 Chatte Ambode which is the iconic Dal vada! 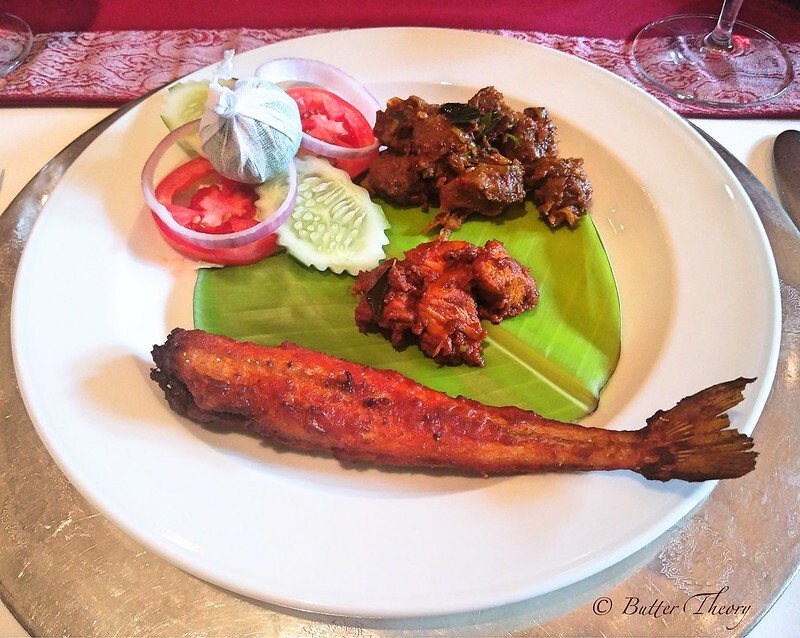 The main course was a pretty elaborate affair! 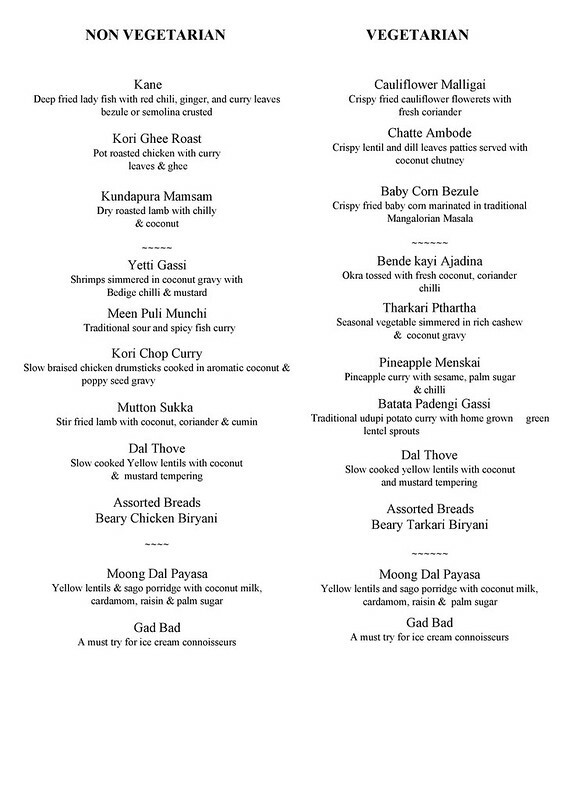 With chicken, mutton, fish and shrimps, I could have a taste of all the meats I generally have, or rather the only meats I have 🙂 The Yetti Gassi were shrimps in coconut gravy were sweet and flavorful, while the Meen Puli Munchu was the sour and spicy fish curry with the fish being a little more fibrous than usual. 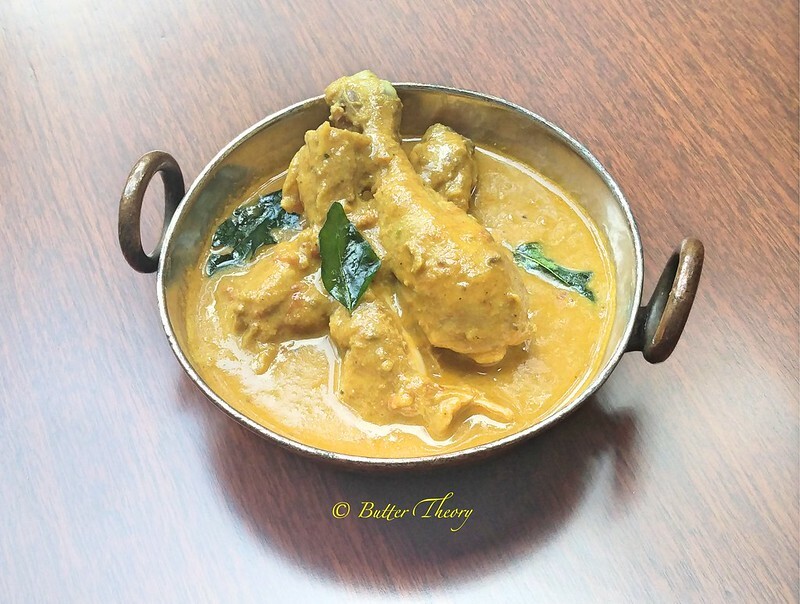 The Kori Chop Curry was slow braised chicken drumsticks in coconut and poppy seed gravy. I thought this was the best dish in the main course and I could help but gorge on this ! 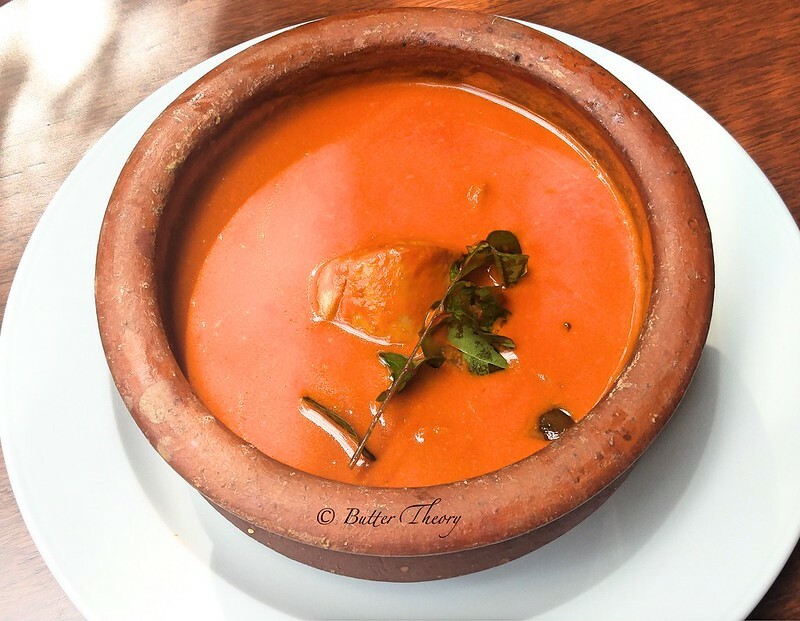 We were served Neer dosa, Regular Dosa as well as some Beary Murgh Biriyani to go with all the curries! 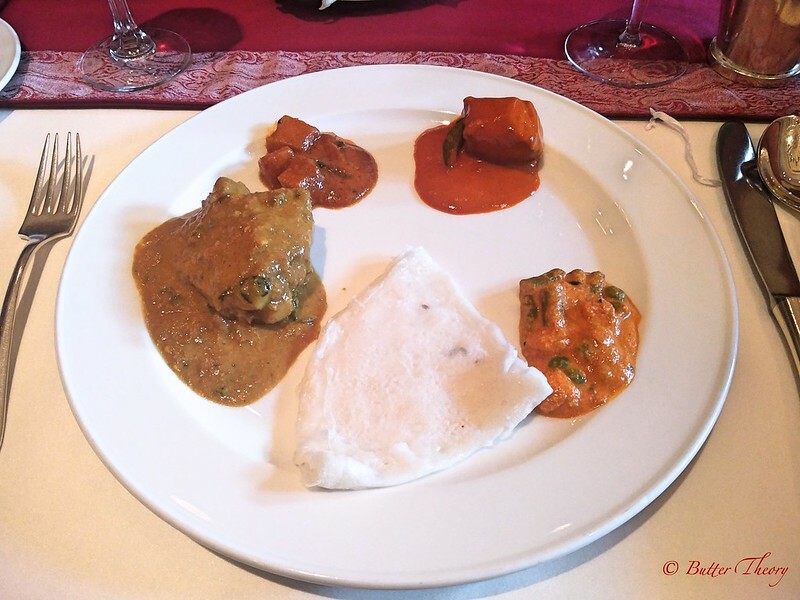 I thought the Neer dosa was a bit too sticky and thicker that I’d have expected! It was not upto the mark, but the regular dosa was beautiful. 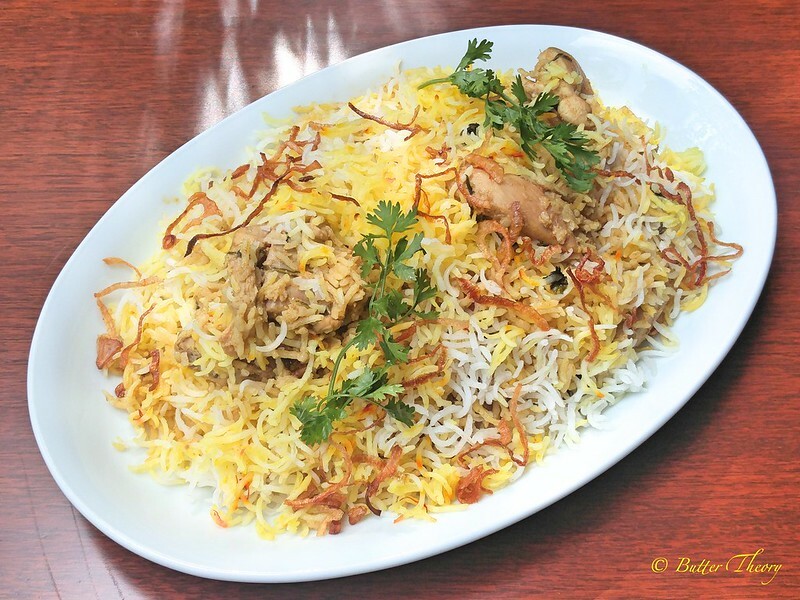 I am a huge fan of Biriyani and this time around I was fortunate enough to try the Mangalore Muslim (Beary is a community) Biriyani! It has the distinct flavors of fennel coming through. 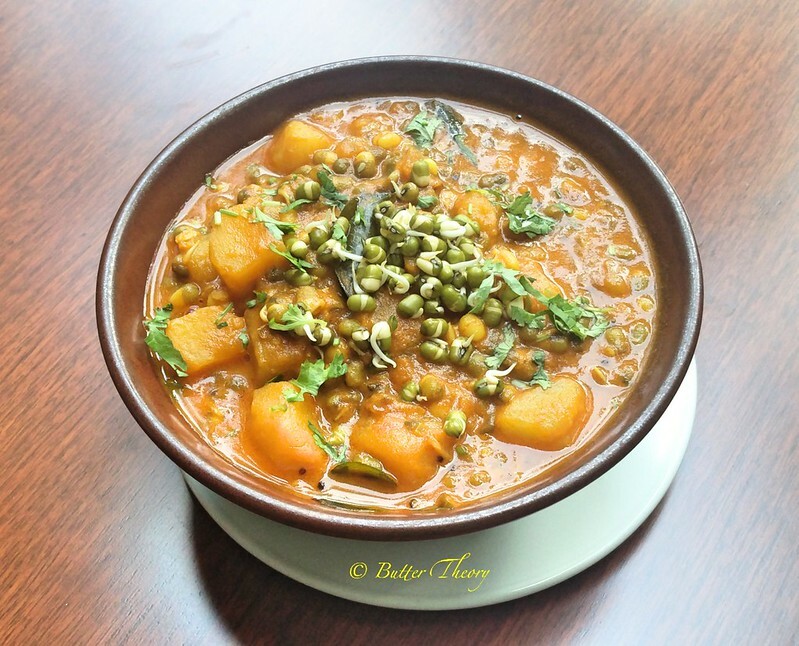 There’s a lot of ghee used in this preparation, but it doesn’t make you feel very heavy after consuming it 🙂 For the vegetarians, there’s the Dal Thove, Bende kayi Ajadina, a Okra based curry. 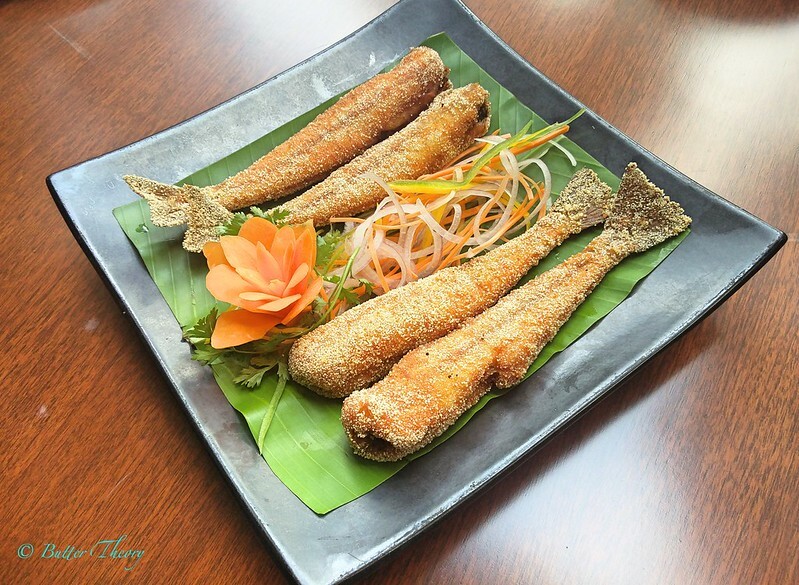 Pineapple Menskai, which is a curry based in sesame and palm sugar and bit of chilli was the pick of the day! 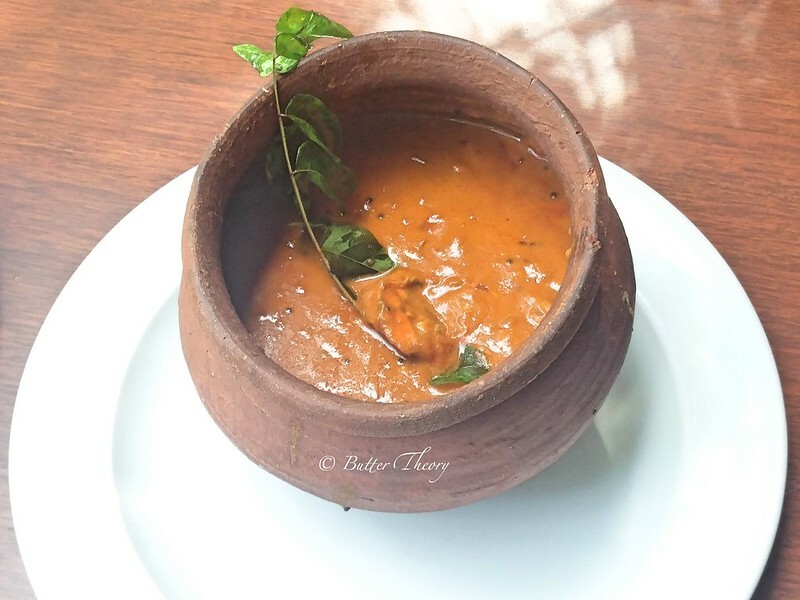 The sweetness of the gravy with the tanginess of the pineapple was a delight to my food senses! I’m a huge Icecream fan and have at-least a few every week! One of the best sundaes to have originated(at-least 40 years ago) much before all of the Death by Chocolates came to our city was the Gudbud Icecream . 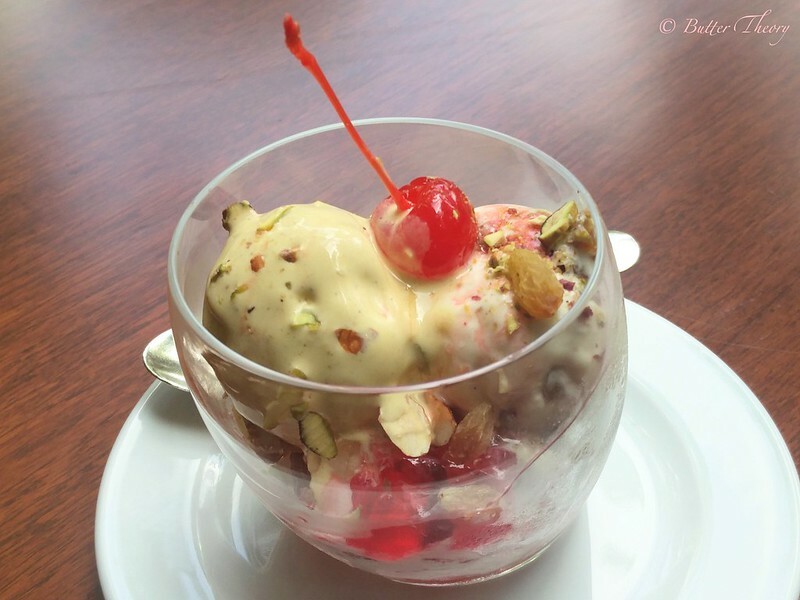 It is a sundae with 2-3 scoops of ice creams of varying flavors with a generous toppings of dry fruits, freshly cut-fruits, rose syrups and jelly and not to forget the ver so important cherry!! The most popular ice-cream flavor was thandai, which is high in calcium and low in calories! Their festival menu has a lot of other items as well. What I had was just the Chef Recommended dishes! 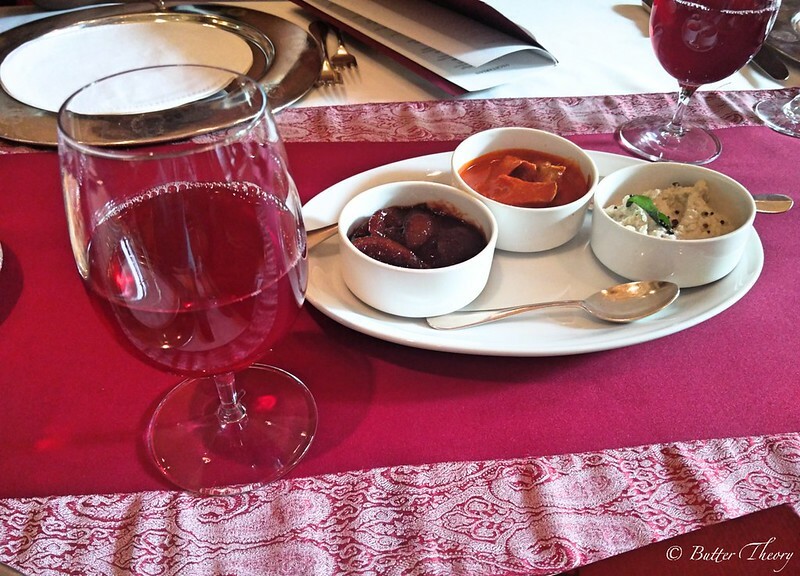 Service at Jamawar is top notch! The staff is well trained, is courteous. The only downside is that it’s a little slow. We had to wait quite sometime between our appetizers and main course. But that may well be because they waited for the slowest of us to have some gap between courses as well 🙂 The attention to dietary needs was nice to see. I’m a huge fan of theirs for this aspect. While I was seated outside, waiting for the rest of the invitees, I was offered water and coffee and was taken good care of! Special thanks to Manjuu Rangarajan from Brand It Communications for setting this meet-up!